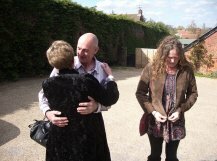 We much enjoyed Maggi Hambling's Adnams champagne joke Saturday in Great Glemham ... Anneka Rice was there too. I:00pm tomorrow in Great Glemham artist and Rendham resident Maggi Hambling will open the Alde Valley Spring Festival and you can be assured she will amuse. From 10:00am it's the Makers Market in the Framlingham Unitarian. Welcome back to advertiser Parham Airfield Museum (halfway between Parham and Great Glemham) which re-opened last month for the summer season. It's well worth the trip being free entry, still has the original control tower and an excellent cafe. Saturday artist and Rendham resident Maggi Hambling will again open the Alde Valley Spring Festival in Great Glemham. At previous openings Ms Hambling has been highly entertaining (especially the aglet/Michael Gambon story) and given a faintly surrealist edge as she spoke from the raised bucket of a JCB. 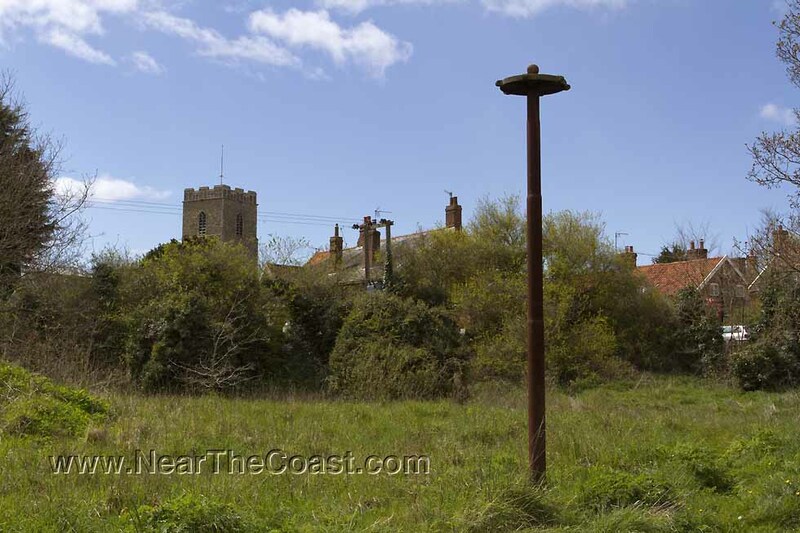 Are we being romantically optimistic to think this pole by the recycling bins in Great Glemham is a maypole? Last Saturday at the opening of the Alde Valley Spring Festival in Great Glemham Maggi Hambling was just as funny as last year, there was someone off the telly we couldn't put a name to, Ipswich MP Ben Gummer with baby son and Alex Johnson being violent towards a dead tree but for us the stars were the country mice. Entertainments around near the coast tonight include the second and last night Music Hall Moments (comedy, songs and sketches) in the Great Glemham village hall or the FRAmlingham residents have a St George's night of tuck and fun (including ♫ from the Broadside Boys) at Tommy Mills. Tonight we will be mostly snapping the Studio 90 opening party in Rendham and tomorrow hopefully the Alde Spring Festival in Great Glemham being opened by Maggi Hambling ... she was very funny last time. Tomorrow 11:30 for 12 Radio 4 presenter Libby Purves will open the five solo shows at White House Farm Great Glemham. JOBS Reliable staff wanted immediately at the Great Glemham Crown, people are saying nice things about it with its new(ish) chef/landlord. The tenth (is it really ten?) 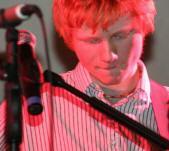 annual Framlingham Station beer festival starts tomorrow week with pizza and over the weekend hog roast and live music. Artist Maggi Hambling and actors Mackenzie Crook and Toby Jones dined Monday night and last night Ed Sheeran with chum Nicole Scherzinger not to mention James Blunt at a Station catered event in Great Glemham ... phew! Sculptor Craig Hudson come's across as a very straight forward bloke but we can see a dark wit at work. Inevitably we like his camera toting The Tourist figure with its rucksack, braces suspending outside Y-fronts, and trainers ... trainers figure elsewhere. Craig's selling show continues until 28th June at White House Farm Great Glemham ... just find Great Glemham and then loads of signs. It's the last weekend of the Alde Valley Spring Festival at Great Glemham with today an everyone welcome picnic on the 125 metres long oak picnic table. The Great Glemham Crown is very definitely FOR SALE and we find it intriguing what needed to be painted out on this sign. The 2015 Alde Valley Spring Festival will be opened Saturday at White House Farm Great Glemham by artist Maggi Hambling . Ms Hambling is a Rendham resident and creator of the Scallop on Aldeburgh beach. The festival runs Tuesdays to Sundays for a month with events including farm suppers and festival walks. Last night I dreamt I went to Manderley again. The monthly film in the Great Glemham village hall is free entry (though a donation welcome) with refreshments available. Tonight it's Alfred Hitchcock's 1940 classic Oscar winning Rebecca with Joan Fontaine, Laurence Olivier and the scary Mrs Danvers. Richard Nichols wants you to know that though the Great Glemham Crown is FOR SALE it's looking very presentable. 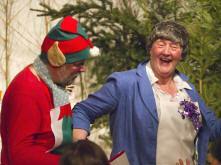 It was our first visit to the Great Glemham village hall Saturday for the Alde Valley Players Mistletoe & Wine. In the first half Katy sang beautifully to digital accompaniment, acapella quintet from Snape Five in a Bar prompted toe tapping with a sleigh bell accompanied Christmas standard but the triumph of the half was Merry Berry cake baking assisted by a two litre bottle of vodka (from Waitrose of course). We l♥ved the conceit at the intermission that the food was dropped by the passing air ambulance (who were to benefit from the evening) and served elvishly in Christmas stockings to a full house. Saturday night in Great Glemham the Alde Valley Players present Mistletoe & Wine an evening of comedy songs and sketches in support of the East Anglian Air Ambulance ... shaming to government of any colour that the air ambulance is a charity. stretchy and The Glemham Crown picked up a fave within minutes of each other today. 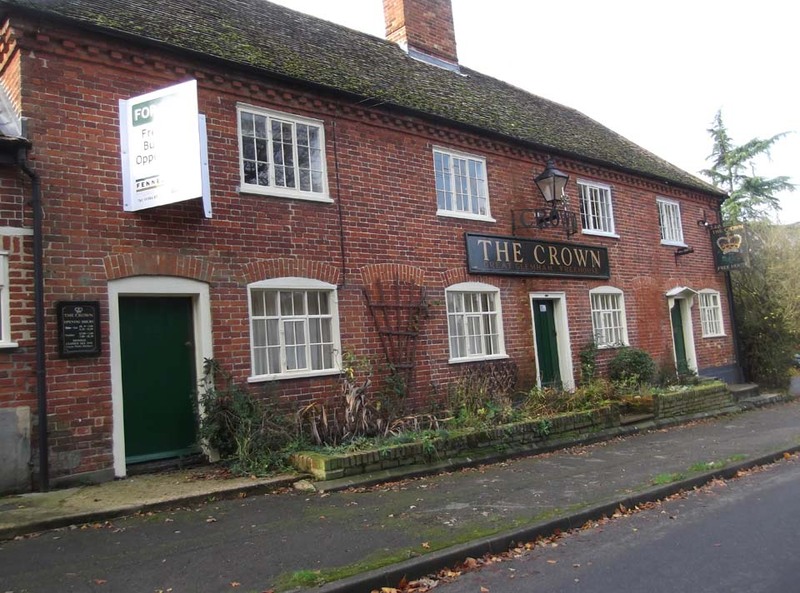 Disheartening, the Great Glemham Crown has closed again, that may not even be a year. In aid of the church and with a children's treasure hunt 12:00-5:00pm tomorrow open gardens in Great Glemham. The Great Glemham Crown wants @Jaydubblah to know they have wheelchair access from the car park and to the toilets. Gordon Thorburn points out the Great Glemham Crown re-opened months ago and we're told by Ivan it's decent and not expensive beer ... and sort of related the Cretingham Bell has just re-opened. and doors, and two large concrete blocks across the entrance to the car park the Great Glemham Crown is looking very sorry for itself. Mobiles, tvs, laptops and jewellery stolen in Great Glemham Thursday morning and three Woodbridge men arrested for offences including Dennington burglaries. We've been told the Crowfield Rose has been closed for over a year and the Great Glemham Crown has been shut for months. Tomorrow the Great Glemham village hall film is A Man For All Seasons. The Suffolk archive film festival running through October and November includes Peasenhall, Stonham Aspel, Great Glemham and Rendham. A handbag, wallet, mobile and a purple fleece were some of the things stolen from two Peugeots in Great Glemham Sunday afternoon and the rabbits seem to be getting a bit cute (cute clever that is not dying their fur blonde and using makeup cute) in Little Glemham. Great Glemham has got one of those "no cash" telephone boxes like Parham. A massed greyhound walk 11am this morning at the Woodland Trust near Great Glemham and the Framlingham Habeas Corpus last night party last night had a plot driven cake.